SPLENDID LOW-CARBING BY JENNIFER ELOFF: WANT TO LOSE A FEW POUNDS BEFORE CHRISTMAS - GUARANTEED? WANT TO LOSE A FEW POUNDS BEFORE CHRISTMAS - GUARANTEED? DO YOU WANT AN EASY NO-BRAINER WAY TO LOSE 5 LBS OR MORE BEFORE CHRISTMAS? You have one month! You may be able to lose closer to 10 lbs. It depends on your body. I deal with a slow metabolism, the after-effects of Hashimoto's Thyroiditis. I am in remission. Hashimoto's is the result of a mycoplasma infection in about 70% of cases. Anyway, this is not about me. Some of you have been low-carbing, like me, for a long time, or you are new to this way of eating. Either way, this method will help most of you, too, I am certain. It is a way that you can eat more carbohydrates in one day than you normally would on a strict keto diet, which, frankly is not an easy diet to stick with very long-term (that's why my husband and I prefer moderate low-carbing, which in the end is what Atkins is all about - only 2 weeks are meant to be 20 grams of carbs a day), plus the health benefits of such an extreme diet are not as good as doing what I will teach in this article. It may be that you have heard about this method before and that it is nothing new to you. Nevertheless, become enthusiastic about this approach again as it simply works! I have tried moderate low-carbing with 2 to 3 meals a day and I have tried doing 20 grams of carbohydrates for months at a stretch with NO results. I am menopausal and I have a slow metabolism as I mentioned before. So, even although I keep a fairly good, steady weight for years at a stretch (usually 5 lbs more than I would like), I can never manage to lose more than a couple of pounds or so and it is very difficult for me as my body fights me! I maintain with ease because of my low-carb lifestyle. I am not a huge eater, but I'm not a small eater either. I don't count carbs or calories. I know how to eat low-carb. However, here is what works for me when I need to lose weight and it will work doubly well for you if you don't have my particular challenges when it come to weight loss. The only kind of person this may not work well for is the kind of person who has a binge-type personality when it comes to food. This new way of eating is called Intermittent Fasting! Before you run away in horror, understand that you get to eat every single day (and most likely anything you would like to eat!) and that you rarely feel any hunger or any hunger that you cannot simply ignore. Also, you don't have to do keto. I think moderate low-carbing is preferable and eating good carbs is preferable to eating junk food. Sugar is completely outlawed! You can eat any and all vegetables, but if they are carby, eat them in small to moderate amounts. For instance, I have never met a carrot or pea that made me fat! Now if you absolutely know that carby vegetables made you fat....don't eat them while dieting using Intermittent Fasting or eat them some other time when the time for losing weight is not only one month! You can make desserts using my low-carb bake mixes (gluten-free, if you wish or any of my other bake mixes), however, keeping desserts simple like sweetening Greek yogurt and adding some frozen blueberries or thawed frozen, unsweetened strawberries is preferable most of the time. It all depends on your particular body and you will know your own body and how it reacts to various foods and if you are incredibly carb-sensitive or not. How low-carb you go is going to depend on those factors. Intermittent Fasting can simply be viewed as skipping breakfast or supper....whichever works best for you! The Intermittent Fasting that works best for me is to eat around midday (sometimes 11 am) and then again around 4 pm and not again until midday the next day. That means my window of eating is only 4 to 5 hours (you can make it 7) and for 19 to 20 hours of the 24-hr day, my system gets a rest. 8 Hours of the 20 hours are spent sleeping - so only 12 hours may present a challenge in the beginning until you get used to it and your natural hunger only kicks in later when you are supposed to eat again. Keep busy when you are not allowed to eat and stay out of the kitchen, if possible. This means that there is a natural caloric restriction and as a result one loses weight. By the way caloric restriction has been proven to boost/strengthen the immune system and prolong life. I typically only lose 1 lb a week, but you may be more fortunate and lose more than that! Chances are if you have more weight to lose, you will lose much more than I do....my husband can lose what looks like 1/2 a pound a day of scale weight doing this - not every day, but often. If he eats 3 meals a day, he can often put on weight as he has a big appetite. If he does keto (20 g of carbs a day), he can eat 3 meals a day and lose weight, but he can't seem to stick to it long term when we go places other than stay at home. If he eats 2 meals a day, he stays steady, but if he eats 2 meals a day and incorporates Intermittent Fasting, he loses weight fast and even faster if he does low-carbing (however, it is not necessary for him to do strict keto). Remember, too, if you have been doing keto strictly and then have a carby snack before bedtime, it can result in low-blood sugar in the middle of the night and sleeplessness, until one eats something to raise the blood sugar again. That is because the body is so used to relying on a different system (fat, ketosis) for energy besides glucose. Then you give it glucose and all of a sudden too much insulin is released into the body and results in a slump hours later of low blood sugar. I think I have read that people that eat nothing during the day (keto on fresh air!) and a huge, carby meal at night could wind up with diabetes years later. In fact, a friend of my husband said that he watched several of his male colleagues at work eat that way for years and they all ended up with diabetes! Here is a wonderful article by Dr. Michael Eades that will get you excited! He and his wife tried Intermittent Fasting, but in my opinion they made it more complicated than it need be and they soon gave up! Rather think of it as each day deciding to give up breakfast or supper (sometimes you can switch things up if you are going somewhere and it is not convenient to stick with your regular routine). Also, if you like, you can start with a longer period for eating in the beginning until you can ease yourself into it. It gets easier!! Check out his article. There is so much more on the internet about Intermittent Fasting. You can have fun reading up on it, however, my method is so easy for me, that I think you will find it easy, too. I detest feeling hunger and doing it this way, I rarely have to deal with any hunger at all, and that is the truth! I think I am going to experiment in the New Year with incorporating Intermittent Fasting as a way of life, but with a longer period for eating (8 hours) for maintenance. I don't want to become too skinny at my age as it is no longer as attractive as it is in a young person. Simply put, though, this way of eating is a healthy way to eat for life! My biggest tips for Intermittent Fasting: You can have tea or coffee - as much as you like (preferably decaf coffee and tea, but you can have some caffeine during the day) - with cream or milk (preferably without, but I use milk) and sweetener (use with caution - some people overproduce insulin when they consume anything sweet during a fasting period) during the fasting period. At night, I take my pysillium husks in water for regularity and follow with a cup of herbal tea with sweetener and no cream. Now I feel full and satisfied until bed time. If I am absolutely starving, I will have a teaspoon of peanut butter with my tea, but I rarely need that. Try it and you will see IFing is so very easy. You don't have to count carbs or calories and when you are not eating, you'll be amazed at how productive you can be! Also, another tip is that if you exercise during your fasting period - moderate exercise such as walking and swimming, you will lose weight with ease, especially if you find that you are not losing after a while - this will jump start weight loss again. All the best! MERRY CHRISTMAS! and thanks for following Low-Carbing Among Friends Facebook Page. We appreciate each and every one of you! 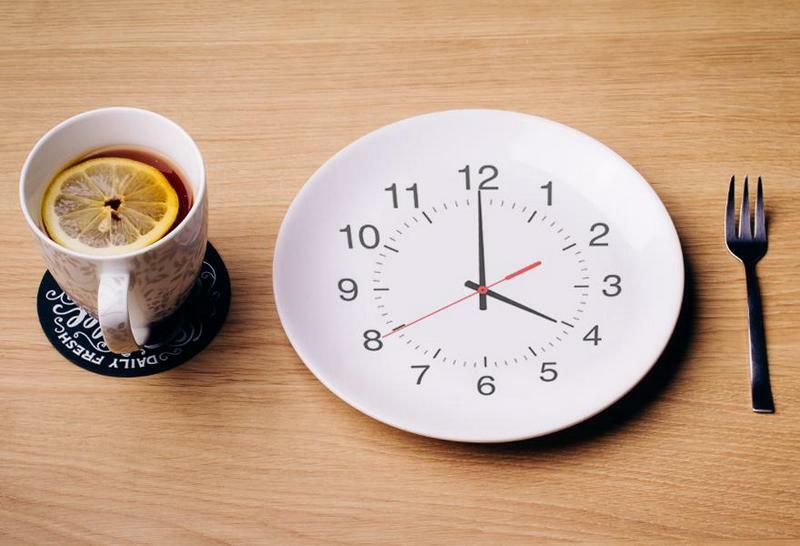 Like caloric restriction, intermittent fasting reduces oxidative stress, makes the animals more resistant to acute stress in general, reduces blood pressure, reduces blood sugar, improves insulin sensitivity, reduces the incidence of cancer, diabetes, and heart disease, and improves cognitive ability. But IF does even more. Animals that are intermittently fasted greatly increase the amount of brain-derived neurotrophic factor (BDNF) relative to CR animals. CR animals don’t produce much more BDNF than do ad libitum fed animals. BDNF, as its name implies, is a substance that increases the growth of new nerve cells in the brain, but it does much more than that. BDNF is neuroprotective against stress and toxic insults to the brain and is somehow–no one yet knows how, exactly–involved in the insulin sensitivity/glucose regulating mechanism. Infusing BDNF into animals increases their insulin sensitivity and makes them lose weight. Humans with greater levels of BDNF have lower levels of depression. BDNF given to depressed humans reduces their depression. And Increased levels of BDNF improves cognitive ability. In short, you want as much BDNF as you can get., and with IF you can get a lot.